I grew up in a fairly religious Sikh household in India. Growing up, I was this waif - an almost emaciated looking second girl child, not fair or pretty by Punjabi standards. I shall refrain from going into detail regarding who or what I was compared to but suffice it to say, those comparisons happened a lot, and not in my favor. My parents, who I would say are quite progressive and have become more so after all they agreed to let me come abroad on my own and marry of my own volition, would look embarrassed and make some vague sheepish sounding excuses. My personality wasn’t effervescent or bubbly to make up for lack in the beauty department, and as I grew older, even after having gone to best schools and the best medical college, I was having no luck when it came to me finding a suitable life partner! I had been encouraged to be strong and independent (I have a strong mom and I grew up reading too many books about defiant and rebellious women) and yet it was a given that you dressed up nicer and talked slower if meeting potential guys for matrimonial purposes. I put this confusing situation down to just being another frustrating experience of growing up in 90s. In the meantime, all my friends were getting married or were happily engaged and I was in this dilemma of wanting to be married but not finding the right guy. Look let’s be honest, who wanted to enter an arranged marriage alliance with a girl who didn’t check any box of Sikh matrimonial basics... not pretty, didn’t know much housework (was too busy trying not to flunk medical college), could not cook anything more complicated than Maggi noodles and was/is a bit reckless and independent, and who fiercely believes in equality and questions the status quo? Hmmm… well back in the early 2000s in my experience, exactly no one! I made up my mind to not let this situation pull me down, but the truth is it was pulling me down like crazy inside. I decided to move to the US to pursue higher studies and explore life better. I was blessed to find success in my professional endeavors in US but still no luck in the Punjabi/Sikh matrimonial department despite me trying (half-heartedly) and my parents fervently trying various long-distance arrangements. I had all but given up and accepted a life of solitude, but dear reader, I did end up getting happily married to Russian Jewish guy but that’s a story for another day. I want to share my experience of going to Gurudwaras in US while I was single. 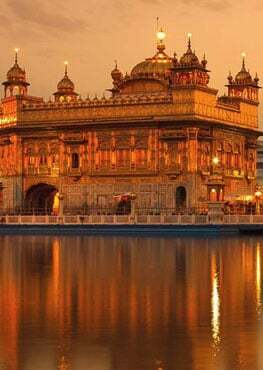 I had lived so far in small towns in the USA where the nearest Gurudwara was a few hours away, so when a job opportunity came up for me to be in a big city, I was excited at the prospect of being able to go a Gurudwara regularly. I thought that I would be a part of the Sangat, I would meet my people and I would belong! But for me it didn’t really turn out to be my happy peaceful place or my refuge as I had imagined. Instead I felt the curious eyes of many in the Sangat on me and inevitably the questions would follow. Who is she? Is she married? Does she wear nice suits? Does she talk to all elders in this sweet manner? 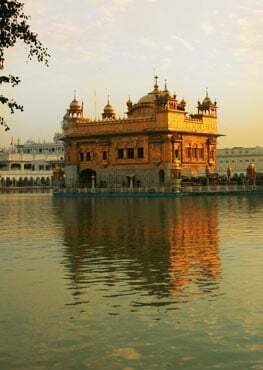 I was in a foreign country and had been doing things on my own by choice or due to my circumstances, but I never felt so alone or socially vulnerable as in the Gurudwara. Instead of feeling a sense of love and belonging, I felt alienated amongst my own people. I started wishing I could be an invisible member of the Sangat, just an anonymous, unseen devotee with no questions asked. Now I want to ask a question, something I have pondered over but haven’t found a convincing answer for. Sikhism, as a religion is based so much on equality so why do we appear to have inherent and blatant bias when it comes to cultural practices? We seem to have bias about people’s looks, social status, profession, and, what the heck, even bias based on the cars people drive and the clothes people wear. At what point were the principal tenets of simplicity, equality and acceptance lost? I am not a scholar of religion nor human philosophy by any stretch, just a regular ‘Jane Kaur,’ however this didn’t feel right to me at the time and it doesn’t feel right to me now. I am humbly open to learning more and I am requesting that we start conversations about this along with an introspection process… myself included, given that I have caught myself straying into the same territory at my Gurudwara recently. Why is there this need in our society for everyone to fit certain norms? It obviously raises the question regarding where and when it’s good to toe the line versus when to refuse to take the back seat in the bus. I won’t even touch the specific topics of gender inequality, domestic violence, casteism and dowry here at this point. Really… tell me what happened. I have seen good, decent, educated and religious people fail when it comes to the cultural test. I will end with this question: What can each of us do to bridge the disconnect between our religious teachings and our cultural practices and more actively inculcate the religious teachings in our daily thinking and living?